The BeagleBone Black includes a 2GB or 4GB on-board eMMC flash memory chip. It comes with the Debian distribution factory pre-installed. You can flash new operating systems including Angstrom, Ubuntu, Android, and others. The following pages will illustrate the steps to getting the latest of each type of supported distribution onto the on-board eMMC. In addition to the eMMC, you can also boot directly from a microSD card similarly to the original BeagleBone. There are a few operating systems you can choose to use on your BeagleBone Black. The following sub-pages include the download location, and some useful information about each operating system you may want to use. Angstrom, Ubuntu, and Debian all appear to have stable images. Android is currently working from a 3rd party build. We don't have a guide on how to install this as of yet. Angstrom is the default operating system, and usually the best choice. Angstrom is the default Linux distribution that is pre-installed on the eMMC on the BeagleBone Black. It's a stripped down version of Linux specifically designed for embedded devices. Depending on how long ago you purchased your BeagleBone Black, you may not have the latest version of Angstrom installed. It's usually preferable to get the latest version, especially this early in the product's lifecycle. To start with, download the latest version of Angstrom for the BeagleBone Black. You can find the latest version at the BeagleBoard Latest Images page. Once you've downloaded the file, you'll want to jump to the section for your specific OS (Mac OS X, Linux, Windows). The default login user/password for angstrom is "root". There is no password set, so you can bypass the password prompt by just hitting enter without typing anything in. Ubuntu is an unsupported operating system for the BeagleBone Black (BBB), but does have quite a few users, and a stable image with the 3.8 Linux kernel. To start with, download the latest version of Ubuntu for the BeagleBone Black. You can find the latest version at the Ubuntu software support page. Choose the file that is compatible with flashing to the eMMC. Once you've downloaded the file, you'll want to jump to the section for your specific OS (Mac OS X, Linux, Windows). It is important that you download a version of Ubuntu specifically built for the BeagleBone Black unless you're an expert at configuring Linux and working with the kernel. It's not necessary to download the most recent version, but it's highly recommended. The BBB ecosystem is rapidly changing, and each release offers many new improvements. 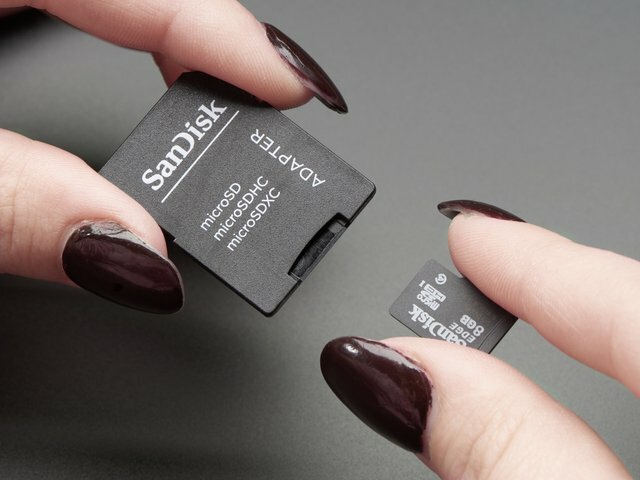 Once you've downloaded an image for the operating system you're interested in using, you'll need to copy it to a microSD card in order to flash it onto the BeagleBone Black's built-in eMMC flash. It sounds confusing, but it's rather simple. Navigate to the next sub-page for the host operating system you'll be using to copy the image to the microSD card. Once you've downloaded the img.xz file, in my case it is titled BBB-eMMC-flasher-2013.05.08.img.xz, you'll need to extract the archive. To extract the archive, you'll want to download and install 7zip. 7zip is a free and open source utility that is able to extract img.xz files (among many other file types!). Next, download the free Win32 Disk Imager software that we'll use to copy the image to the microSD card. After downloading the software, extract it from the zip file (7zip can be used here as well). Next, insert your SD card, and choose the correct "Device" drive letter. You may want to open windows explorer to help figure out which one to choose. Another way is to view the drive letters by clicking the dropdown below "Device", and then inserting your SD card to see which one gets added to the list. Make sure you choose the correct drive letter, or risk losing data on your other devices! Once you've made your selections, click the "Write" button illustrated above, and wait for it to complete writing to your SD Card. You can now continue on to the Flashing the BeagleBone Black page to continue. When I attempt to flash the OS onto the on-board eMMC memory, nothing happens. What do I do? Ensure you have a good power supply. This is the most important thing as flashing the BBB is pretty power intensive. 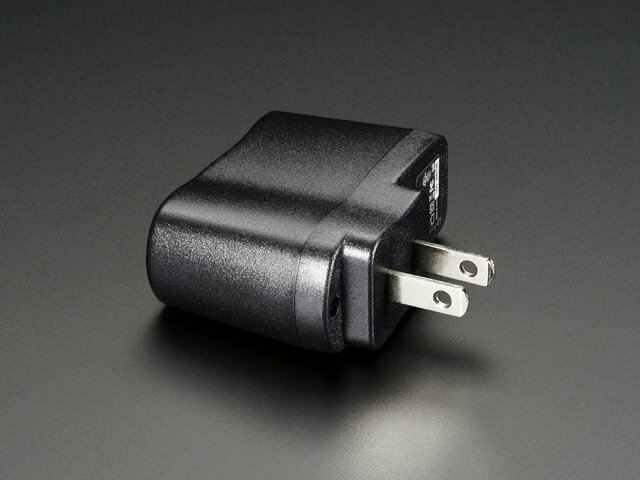 The USB power supply featured in this guide is fully capable. Unplug the Ethernet while flashing. It can consume a bit of power unnecessarily. Try again. Sometimes it can take a couple of tries to get the process going. Also, make sure you've held the user boot button down the entire time until the LED's light up, prior to plugging in the power. Re-seat the SD card. Copy the image to your SD card again. It's possible that this process wasn't fully successful. How do I use ssh-keygen to generate ssh keys on Angstrom? Angstrom comes pre-installed with the dropbear ssh package by default, instead of the more common openssh package. The easiest way to generate ssh keys is to simply install the openssh-keygen client. How do I set the time and date? It's always wrong when I reboot. There are a few options. The first would be to setup a real time clock breakout board. How can I use opkg upgrade on Angstrom? Execute the following commands. tmpfs is quite small on the default Angstrom installation. This guide was first published on May 21, 2013. It was last updated on May 21, 2013.